Collectively our team possesses a wide, complementary skill set. While different, we are motivated by a similar drive to directly address climate change and a strong belief in Symbrosia’s work. Alexia’s research focus is in green chemistry with ongoing research on the endocrinology implications of petroleum-sourced consumer products. In 2018, she was one of 20 candidates nominated for the Pritzker Emerging Environmental Genius Award. 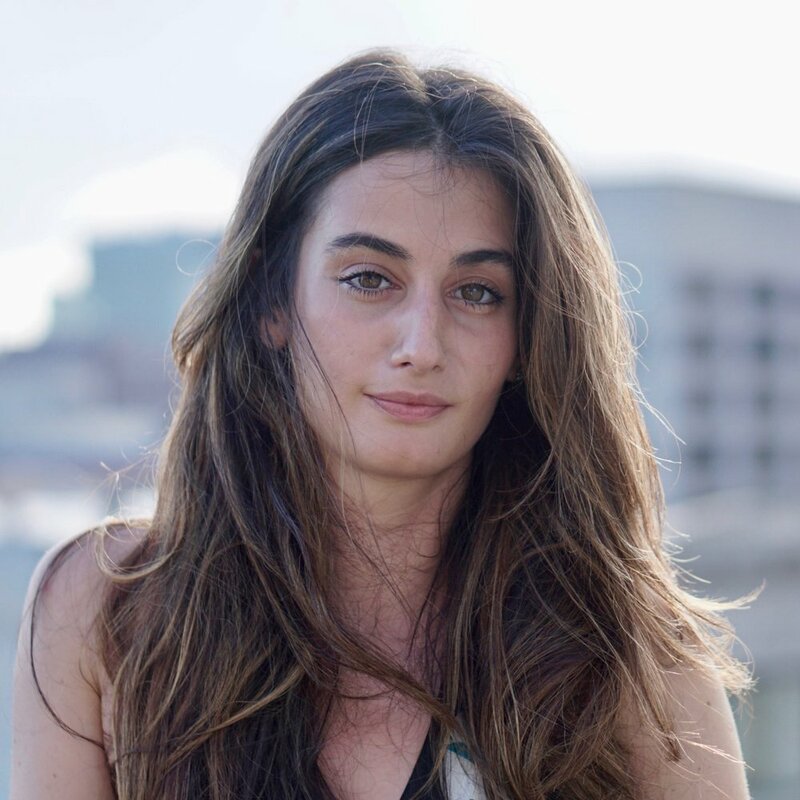 She is a founding member of the Yale Blockchain Initiative and as a proponent for sustainable and transparent supply chains in enabling a net-zero economy. She will receive an MPH in environmental public health in May 2018 and holds a B.S. from New York University in chemistry and global public health where she conducted research on food security and nutrition at NYU Langone Medical Center. Gracie is a current Master’s Candidate at the Bren School of Environmental Science and Management at the University of California, Santa Barbara, with a focus on coastal resource management. She received her Bachelor's in environmental studies from Yale University, where she researched ecosystem services provided by seaweed and shellfish aquaculture. In between degrees, Gracie worked for GreenWave, a Kelp and Oyster aquaculture non-profit based in the Long Island Sound. Gracie is interested in improving seafood sustainability practices for increased food security and environmental resilience. Jonathan has been working as a research engineer and manager at the Yale Openlab since receiving his B.S. in environmental engineering from Yale College. His current research focuses on internet of things (IoT), blockchain, networking, and novel sensing techniques. As part of a previous research project he built a novel field-deployable sensor for tryptophan-like fluorescence in drinking water and is currently working with a drinking water provider to commercialize the technology. Mike is dedicated to creating novel solutions using innovative techniques, equipment and systems that provide affordable and investable alternatives to the status quo. He has 40 years of experience in water, waste water, air pollution, aquaculture, aquaponics and commercial macroalgae production. Fields of expertise include: ion exchange, membrane separations, filtration, sedimentation, precipitation, disinfection, advanced oxidation, TOC destruction, electrocoagulation, dissolved air floatation, gas stripping, aerobic and anaerobic digestion, adsorption, water reuse, coupled and decoupled aquaponics, flow-through and recirculating aquaculture, land and sea based macroalgae production. He received a Master’s in chemical engineering from California State Polytechnic University. Jacob is a seasoned Advisor & Entrepreneur with 10+ years of experience advising early-stage ventures mainly focused in Health & Wellness, Food & Beverage, Biotech and Hardware. Prior to joining Symbrosia, Jacob was the Head of Finance at KeyMe - a Hardware/AI startup and Aloha - a Health & Wellness company focused on plant-based food. He is also the Co-Founder & Advisor of Purely Plants – an early stage venture focused on herb-based medicinal foods. Jacob spent his first 5 years out of college in banking at HSBC and Credit Suisse. He graduated from YU in Finance and Biology and holds an MBA in entrepreneurship from INSEAD & exchg-MBA from Wharton. Dani Schulman is a junior majoring in Environmental Studies and Human Rights. She is passionate about aquaculture because it intersects with three of her favorite things: ocean health, climate action, and food justice! Dani is the Co-President of the Yale Student Environmental Coalition. In her free time, Dani loves to scuba dive, sing jazz, and listen to podcasts in the sunshine. Mary is a master’s student at the Yale School of Forestry & Environmental Studies. She has experience in coastal restoration and shoreline resiliency projects, where she gained exposure to the use of aquaculture for shoreline protection and water quality improvement. She is passionate about sustainable, climate-friendly ocean food systems, permaculture, and the role of aquaculture in the farm-to-table movement. Mary holds a BS in Environmental Science from the University of Connecticut. Nathan is a sophomore at Yale double-majoring in molecular, cellular and developmental biology and environmental engineering. He is particularly interested in how we can learn from nature to address today’s sustainability challenges. He has experience in genetic engineering and cancer biology research at Memorial Sloan Kettering Cancer Center, and is now exploring more sustainable agriculture approaches like permaculture and aquaponics. Isabel is a junior at Yale, majoring in Environmental Engineering. She has experience working in a lab in Yale’s Department of Chemical and Environmental Engineering, helping design sustainable water treatment technologies to remove arsenic from drinking water. Her main interest is in water quality and water treatment, exploring ways to make clean drinking water accessible to all via green and sustainable methods. Matan is a junior at Yale majoring in Mechanical Engineering who has always long been interested in working with emerging green technologies. Previously he has experience as summer research assistant at the Weizmann Institute on a project exploring the possibility of memrisistors for future energy efficient memory storage. In his free time, Matan serves as Co-President of Yale's beekeeping organization. Alyssa is currently a second year student at the Eugene Lang School of Liberal Arts at the New School. She is currently pursuing a Bachelor's in Environmental Studies with a minor in sustainable design from Parsons School of Design. Alyssa is interested in sustainable business design, and is exploring more fields as she seeks her degree. Check out her work on our Instagram page! Victoria is a Masters of Public Health candidate at the Yale School of Public Health with a focus in environmental health sciences. She has previous experience teaching urban agriculture techniques in Toronto, Canada, San Antonio, TX, and New Haven, CT. She is interested in the impacts of climate change and rapid urbanization on food security. Most recently, she worked in data analysis with the World Health Organization and is now applying her skillset to advance innovations in urban agriculture. She received an honors B.S. in global health with a focus in nutrition and environmental science from the University of Toronto. Your inbox needs more seaweed.